The e-series is accessible to everyone and therefore ideally suited for charging in the private sector. The e-series runs in offline mode and is therefore ideally suited for charging where no online connection is necessary. The "e-series" is the entry-level model of the KeContact P30. This makes simple, cost-optimized charging possible. The e-series is only available for Europe. KeContact P30 e-series provides a USB and Ethernet interface (RJ45) and can be updated easily to the last software version. 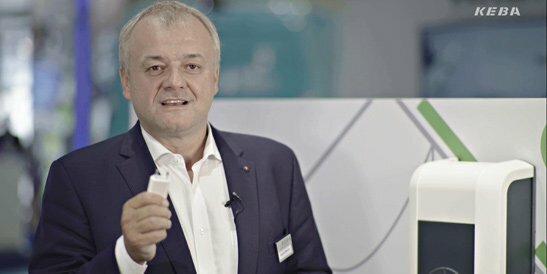 Gerhard Wimmer, responsible for sales in Austria, Bavaria and Switzerland, explains the importance of having a charging station at home in this short video. To ensure your safety while charging, it is very important to always charge your electric vehicle using a dedicated charging station rather than a standard domestic socket. As an added benefit, the KeContact P30 charging station offers easy smart home integration. With smart home integration you can charge your electric vehicle using power generated from your home PV system or have the vehicle charged depending on other energy consumers in your home.